When you get really hungry, how do you feel? Between you and I, I hate doing crunches at the gym on an empty stomach and my hubby... well, he has a whole different take on it. And what kind of snack or special treat do you crave at times like this? Does salty and sweet milk chocolate, peanuts, chewy caramel with a bit of crunch appeal to you when the munchies strike? Yeah, I'm not surprised, my mouth is watering, too -- just at the thought of it. The good news is it's no longer just in your imagination. 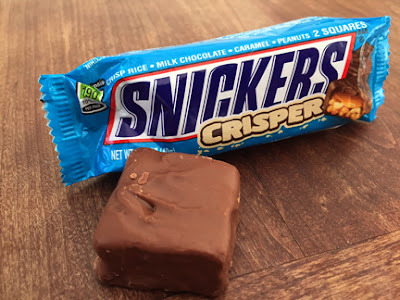 There finally is a new delicious and satisfying candy that exists embodying all those qualities called SNICKERS Crisper now available at Walmart. Whether you are already a fan of original SNICKERS or have never tried one before, tasting this new sugar sweet confection for the first time is an amazing multi-sensory experience like none other, as I learned first hand. This definitely is not just a candy bar which you want to rush into eating, it's a whole ritual of pleasure to reward yourself. As soon as you open the bright blue wrapper, first take a deep breath and whiff of the chocolatety peanut caramel sweet aroma. If there is heaven on Earth, this could very well be it, because the scent alone elevates your mind and taste buds. Next, as you hold this delectable snack in your hand, take a close look at all that chocolate square enrobed goodness. Lastly, the moment you've been waiting for: take a small bite and get ready for your mouth to be transported by the unique combination of chocolate, crispy and chewy sensations. You may have a hard time resisting, so I challenge you to eat just one at each sitting and really take the time to enjoy it. 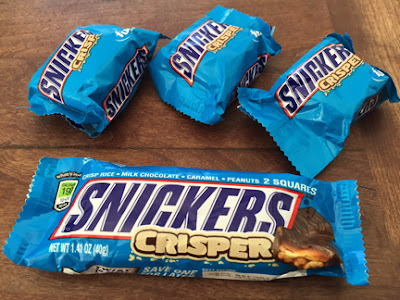 In fact, I love that you get 2 squares in the SNICKER Crisper full-size candy bar, making it easy to twist the wrapped closed to save one for latter. Stay in the loop by following @SNICKERS on Twitter and Facebook and @Walmart on Twitter and Facebook. Why not treat yourself once in awhile? 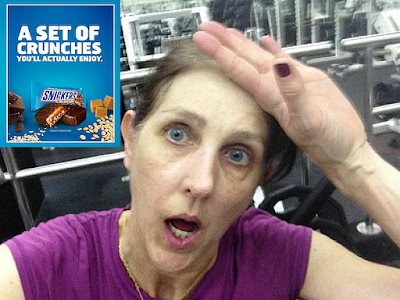 When hunger strikes enjoy a SNICKERS Crisper. FTC Disclosure: This is a sponsored post for SheSpeaks/MARS and I received the products featured as well as compensation for this review. However opinions in this post are my own. See complete FTC Disclosure information that appears at the bottom of MommyBlogExpert's main page and at the bottom of every individual post on this blog, including this one. These have actually been out for a few months here. Someone gave my husband a bag of them at Christmas and he loved them! I bet these are even more addictive than the regular Snickers! I can't wait to try those! I didn't even know those existed!! I know what my Easter treat will be! HAHHAH! I love your photos! And WOW - I could TOTALLY get into these! I might eat too many, though! Oh no I love Snickers!! I had no idea they came out with a new one!! I need to get one to try it out sounds delicious! I haven't tried these yet. I think they look really good though. I recently won one from a Twitter party though. I can't wait to get it so I can try it! I bet it tastes great. I love Snickers! I think I love them even more now! I know what I'm buying the next time I head out to the store. I love Snickers and I'm absolutely drooling from your description. Totally yummy! I just saw an ad for these the other day! I haven't even come across them at the store. This is one of my favorite candies, so I'm interested to see how it'll taste crunch! 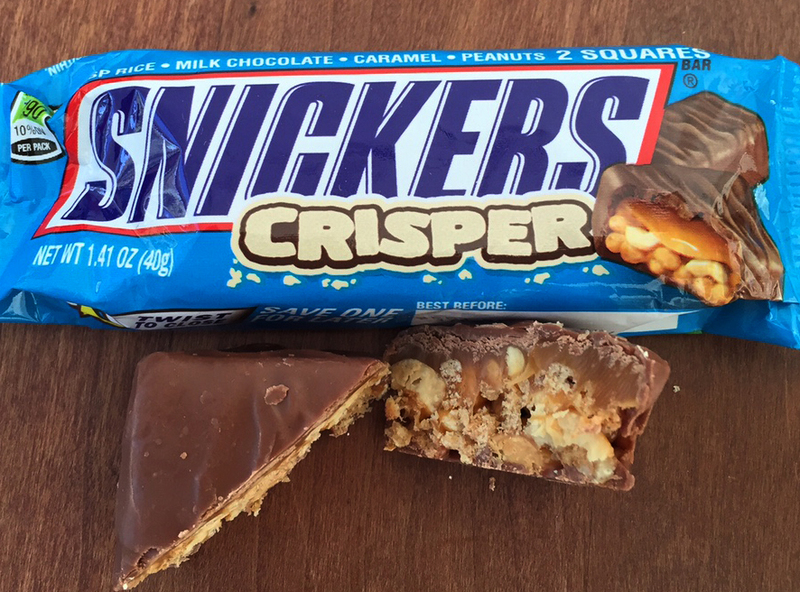 I am excited to try the Snickers Crisper. I love to treat myself with a Snickers bar. Yeah, these are a sugar high I can get on board with. But I shouldn't. But I want to. Man, I love a good Snickers bar. I haven't tried this variety yet, but I know I'm going to need a zillion of them. My best friend is the biggest Snickers fan. I need to surprise her with these! Love me some Snickers! Now they are crispier, yum! Can't wait to try them! What have I been waiting for with this candy bar? I need to get one and chow down! 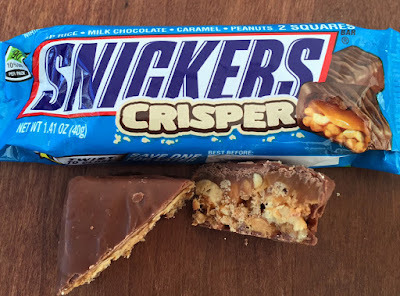 I am a huge fan of Snickers, but had not heard of the new Crisper Candy Crunch! I cannot wait to try it! 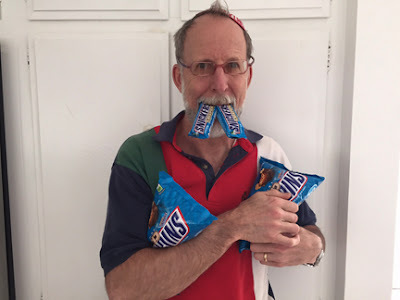 Snickers is one of my favorite candy bars. I have not tried these yet, but I am gonna hold off as much as possible in case they are just too good! I love the Snickers Crisper bars. They are delicious and they do curb my hunger.